Home australia chicken chunky creamy faces food foodie foodtrip Handcrafted Oven Fresh manila mushroom newfaceintown personal photo photography pie Pie Face Pie Face Philippines piefaceph Pie Face, why I really like you? I like you because all your signature pies are freshly baked that are filled with the freshest premium ingredients like chunky cuts of 100% Australian lean beef, real chicken pieces, fresh button mushrooms, fresh diced onions and a pinch of garlic. 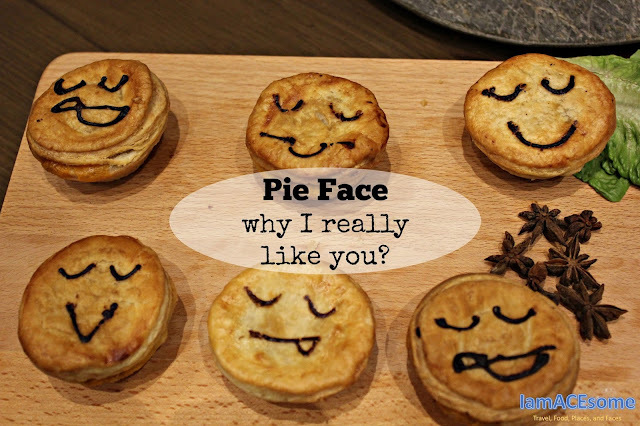 I really like you because all the flavors that I have tasted during my dining at Pie Face are all tasty, yummy and delicious. You serve not only the signature pies but also sausage rolls, pastries, sweet pies, brownies, cookies, muffins, sandwiches, and cakes. You are so sweet after I tasted your lemon, chocolate and ube sweet pie that gives me sweetness and another substance of flavor. You not just giving me a great food experienced but you also give me with great drinks that are best combinations of your signatures pies and pastries. You are not contented to surprise me because you give me a free WiFi to share all my photos and experienced with you. 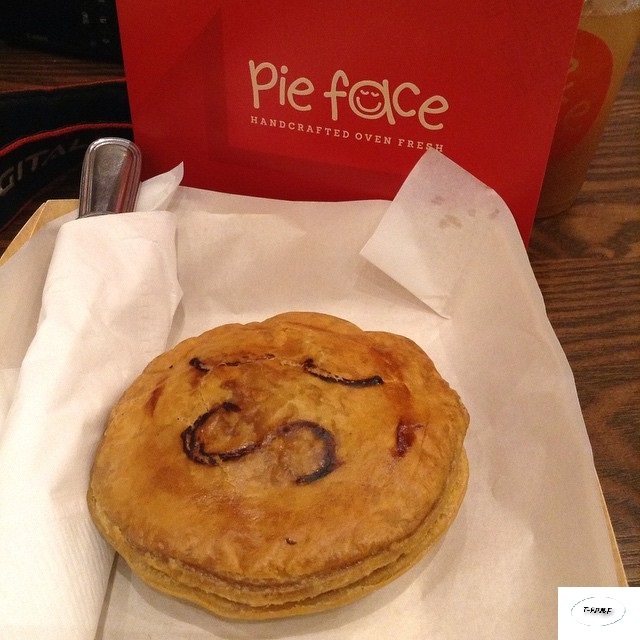 Pie Face is a bakery chain originating from Australia that offers premium, hand-crafted products and artisan roasted coffee from Di Bella, Australia’s largest coffee roaster. Its banner offerings are savoury pies, each with a unique smiley face hand-piped on top. These are made with the finest ingredients such as lean meats produce and French-inspired puff pastry. Its first Philippine store is located at the Mall of Asia. A second branch is scheduled to open at Eastwood City in Libis this 2015. You can check updates by following Pie Face Philippines social media account.